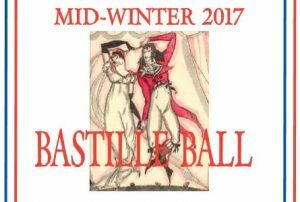 Our Mid-Winter Ball falls on Bastille Day this year, so what better opportunity to celebrate with French dances of the Ancien Régime plus one or two from La Révolution? It will be on Friday 14 July, 2017 from 7-10pm (later than usual), at the usual venue, 181 Blues Point Road, North Sydney. Dress for dancing (and warmth) to match the Tricolore or French-inspired costume if you can. Confrères welcome, and please bring some simple finger food &/or drink (non-alcoholic) to share (we’ll provide cups, plates &c), in the spirit of égalité. 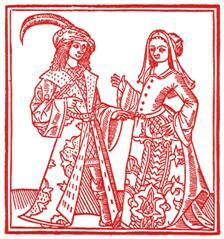 & would be delighted if you can come and join us in some July jollity. Friends & family are always welcome. Wear warm, festive clothing or costume, & dancing shoes. Bring a plate of simple finger food &/or drink (non-alcoholic) to share. 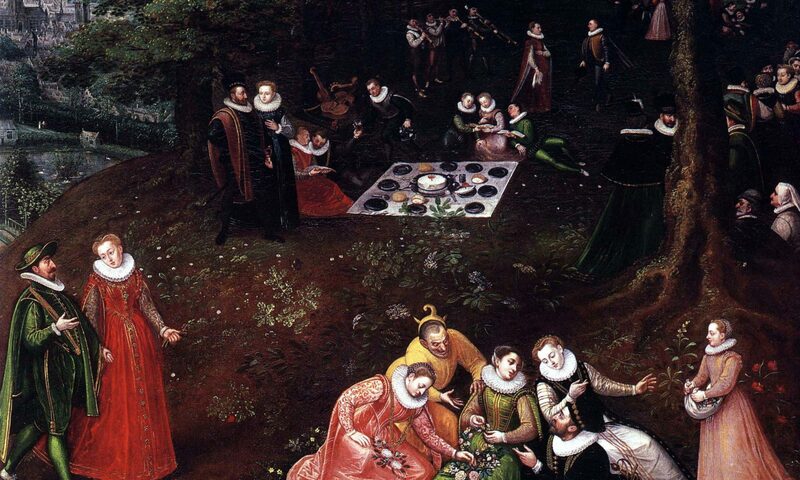 We’ll provide tea/coffee, cups, plates &c.
footloose frolics (of the Renaissance & Baroque variety) amongst friends. 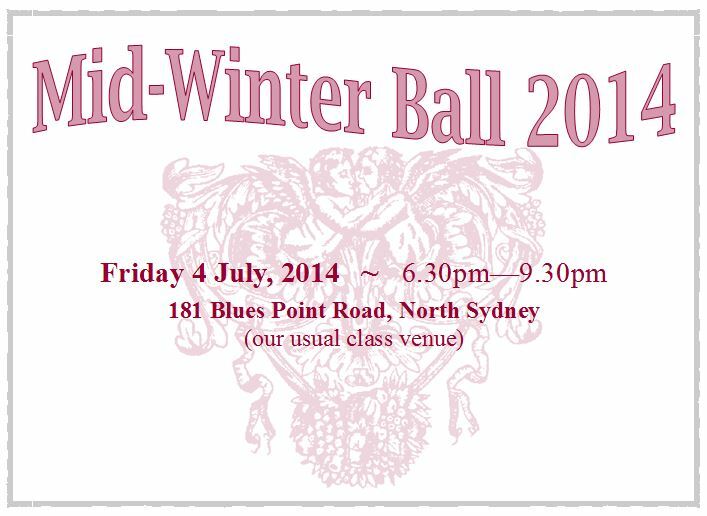 The details: 6.30pm on Friday 4th July, in the usual class venue – 181 Blues Point Road, North Sydney. Hope to see you there, with the usual plate of finger food and/or drink to share (we’ll provide tea/coffee, cups, plates &c). Please don’t forget that it is on a Friday evening this time. And we’d appreciate an RSVP by Wed 2 July so we have an idea of numbers. 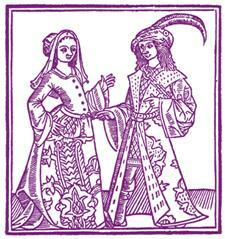 At last we have a Spring Ball booked for Sunday 22nd September 2013, around 1.30pm -4.30pm in the city. (Our usual venue is no longer available for us on Saturday evenings.) Exact details yet to be finalised, but please put the date in your diary. The Sunday will avoid the Federal Election, whenever it might be… and we hope the time will suit most people. The city venue is readily accessible by public transport, and parking is also possible on Sundays. This time the Ball will be a sort of Thé dansant (Tea Dance – see http://en.wikipedia.org/wiki/Tea_dance for some more info on the genre, which really belongs to a more recent period). 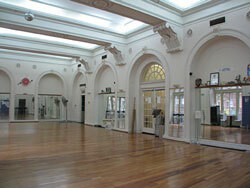 The venue is interesting, because it is a lovely dance studio in the St James Trust Building, at 160 Castlereagh Street. Though built in the 1920s (Gatsby era!) it is in the Palazzo style, with a touch of classical/Renaissance style (http://www.sydneyarchitecture.com/cbd/cbd4-052.htm has some info) – of course strictly speaking everything in Sydney is anachronistic for us! The cost will be somewhat more, but with simplified catering, and more dancing, we hope that it will be worth it to be in such an elegant setting. 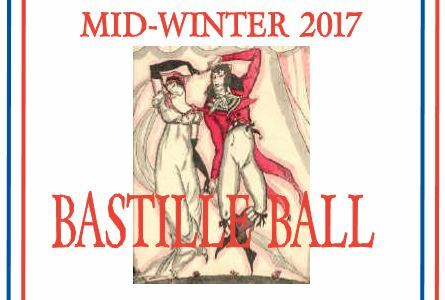 This year, the usual class venue has not been available on Saturday evenings for our end-of-term ball… We are hoping to have a Spring Ball at the end of Term 3. If not a Saturday evening, then a Sunday afternoon “Tea Dance” might be an a possibility, at a city venue (Friday evening is not ideal after Thursday night class). We have been looking at different venues. People come from all over town, so somewhere reasonably central and close to trains would be great. Your ideas would be very welcome, as we look at the various alternatives.